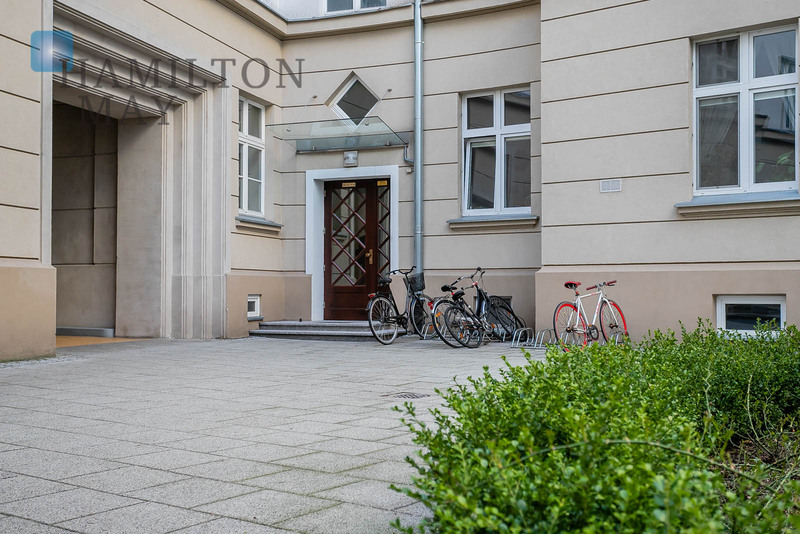 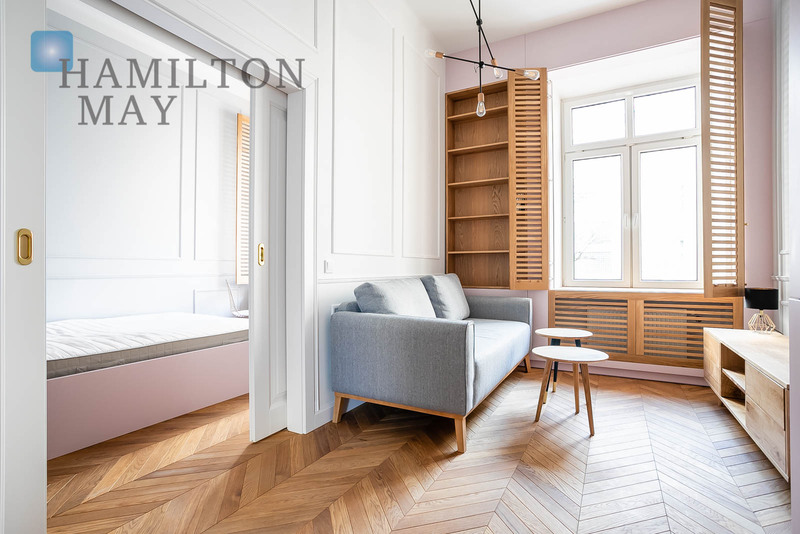 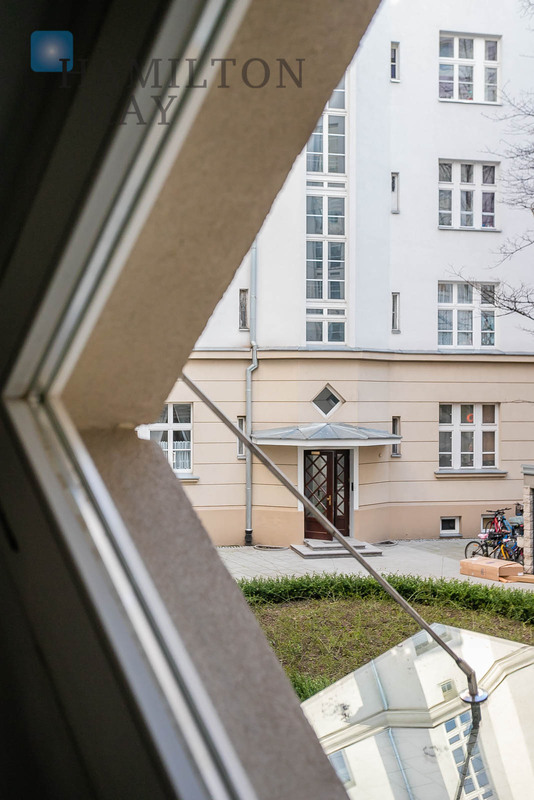 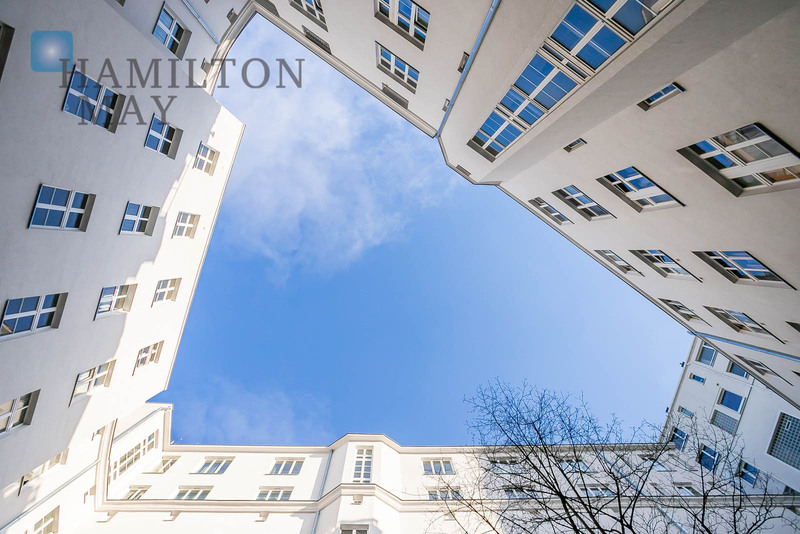 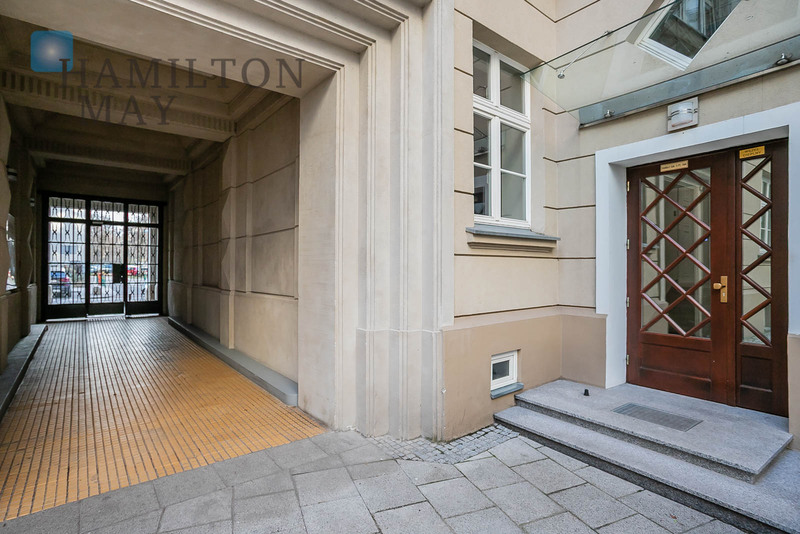 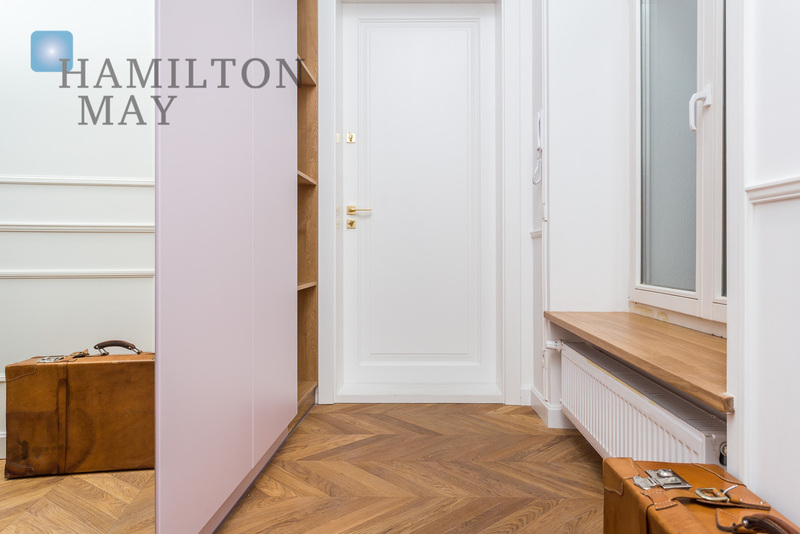 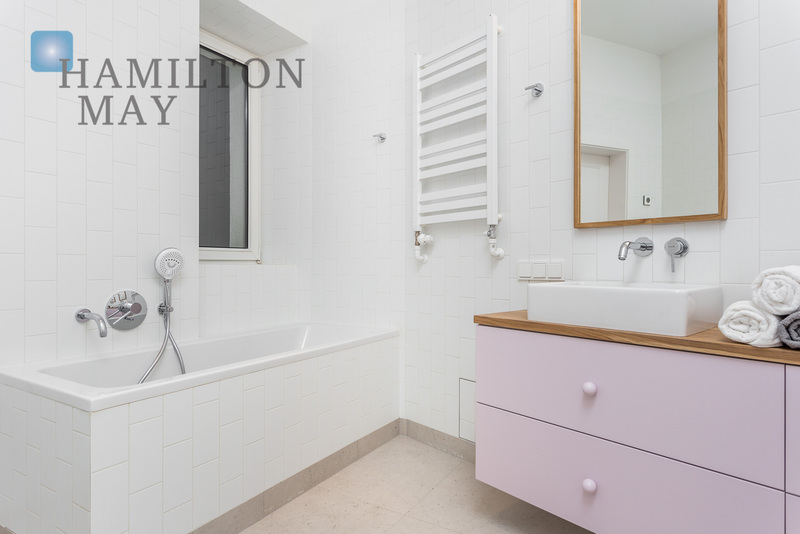 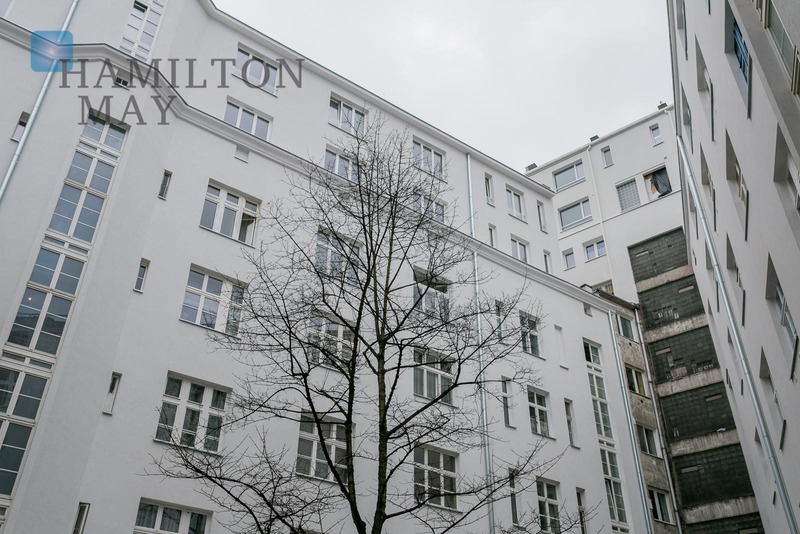 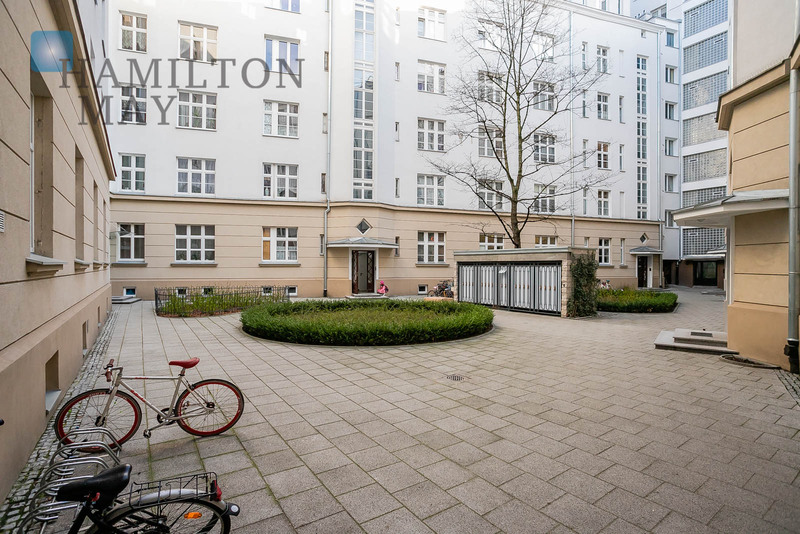 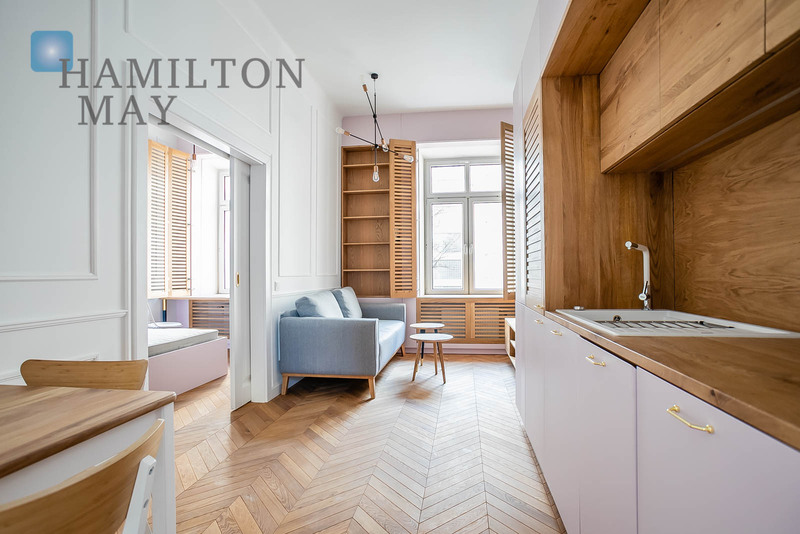 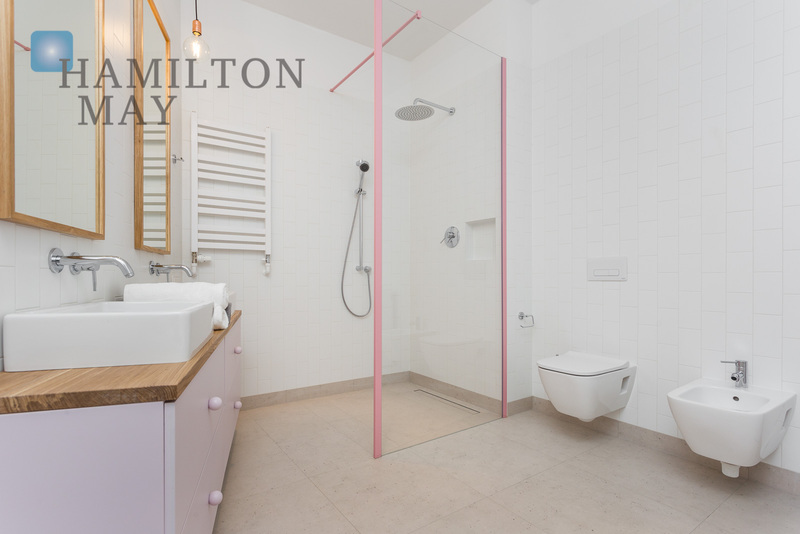 Hamilton May is pleased to present a bright, one bedroom apartment offered for rent in the green part of Powiśle - perfect for a single resident of a couple. 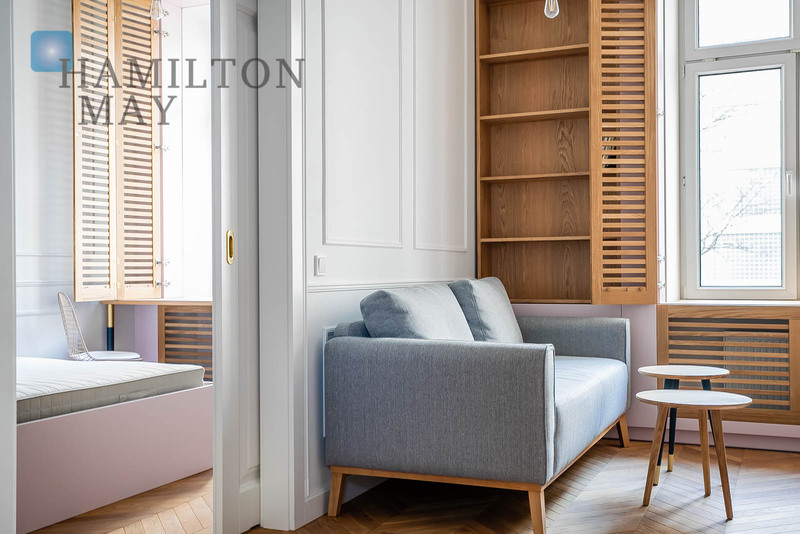 This modern and stylish apartment has an area of 50m2. 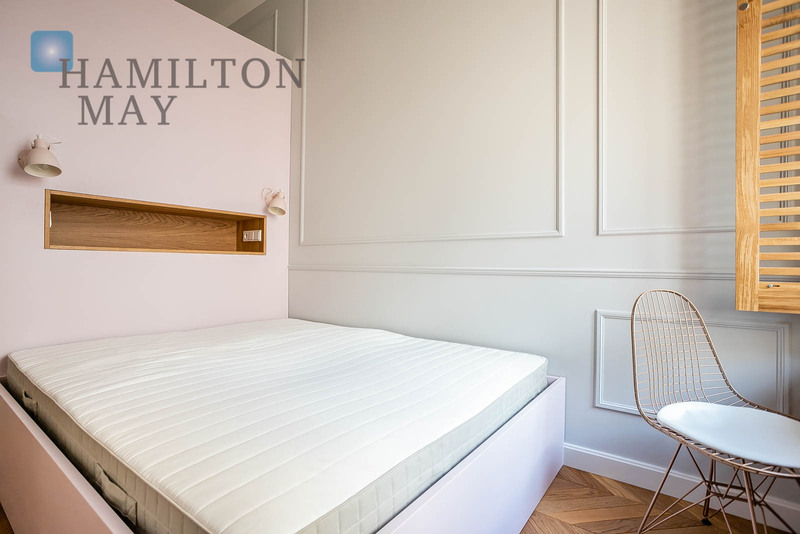 It consists of a living room combined with a kitchen, bedroom with a wardrobe, bathroom and hall with a large built-in wardrobe. 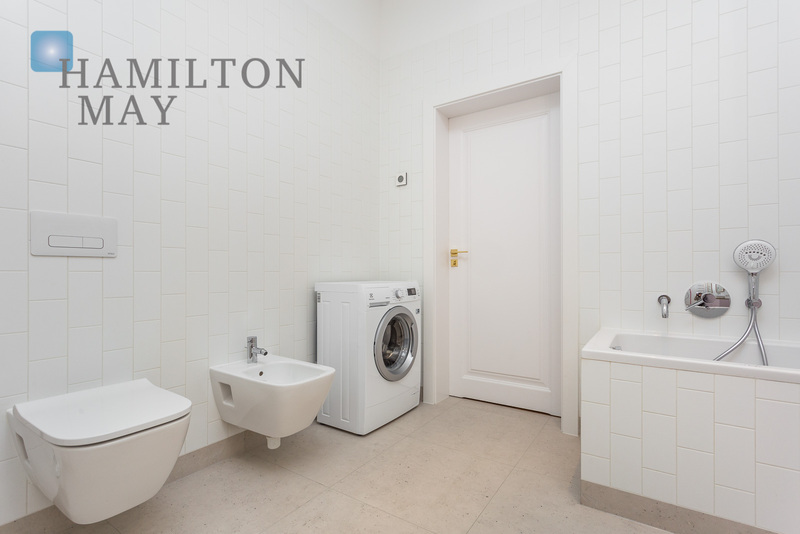 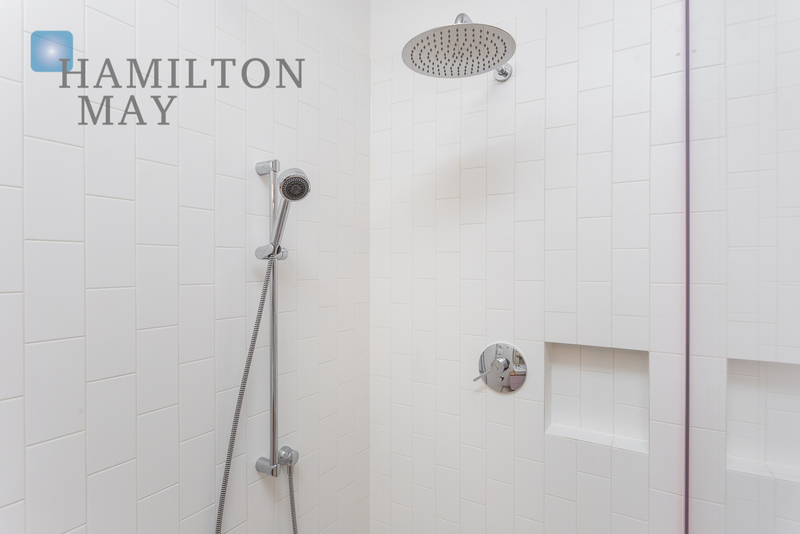 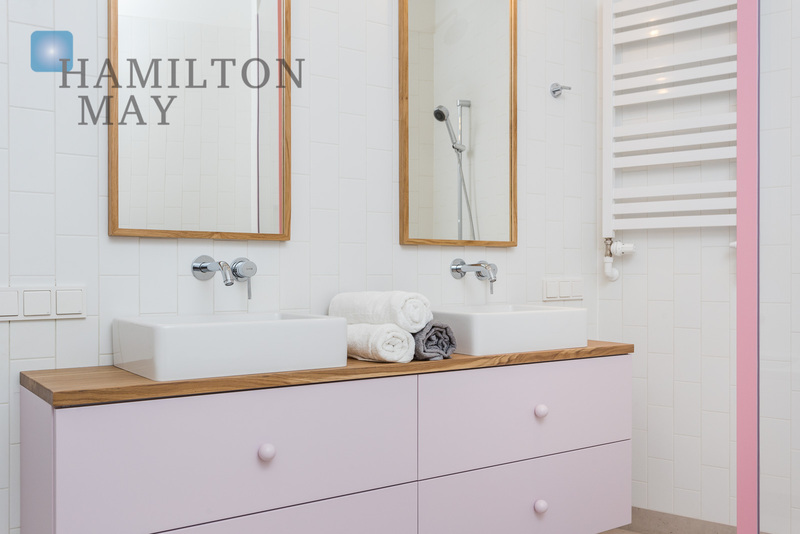 The property has been renovated with attention to the tiniest details. 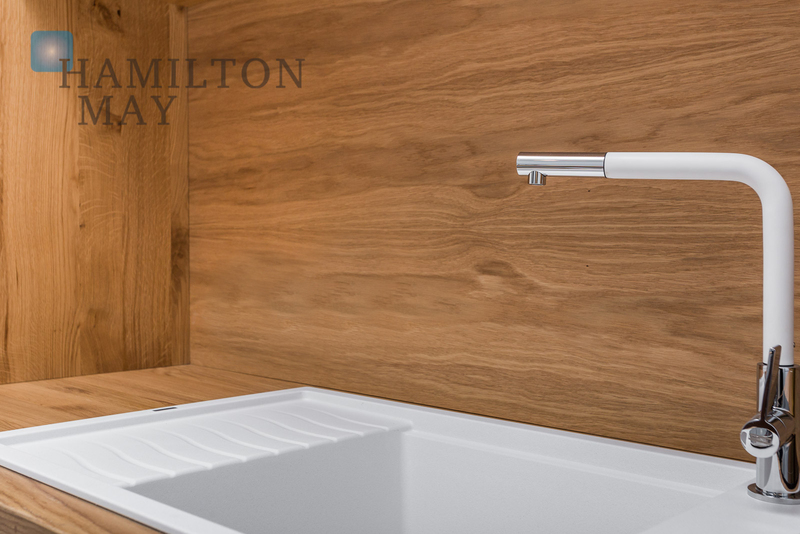 The kitchen has been equipped with high-quality household appliances. 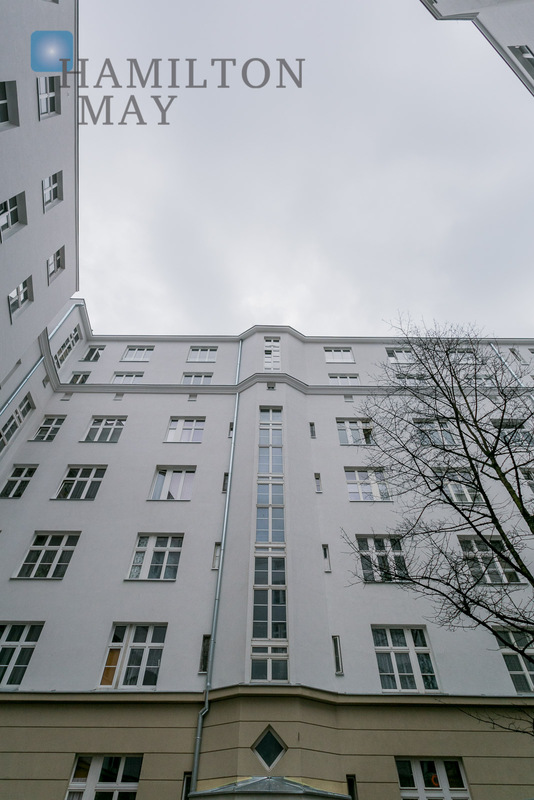 The temperature within the apartment can be freely controlled. 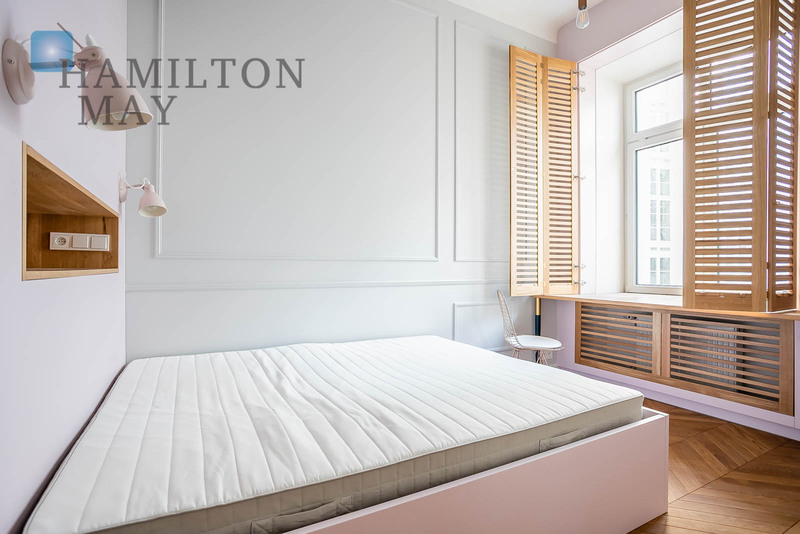 The property belongs to a unique, revitalized and discreet, 4-story prewar townhouse. 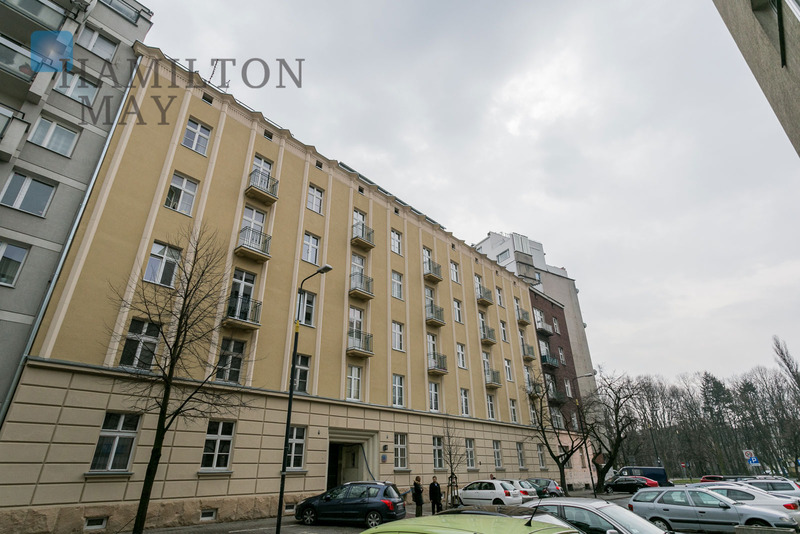 The townhouse is situated in a prestigious area of Warsaw’s Powiśle. 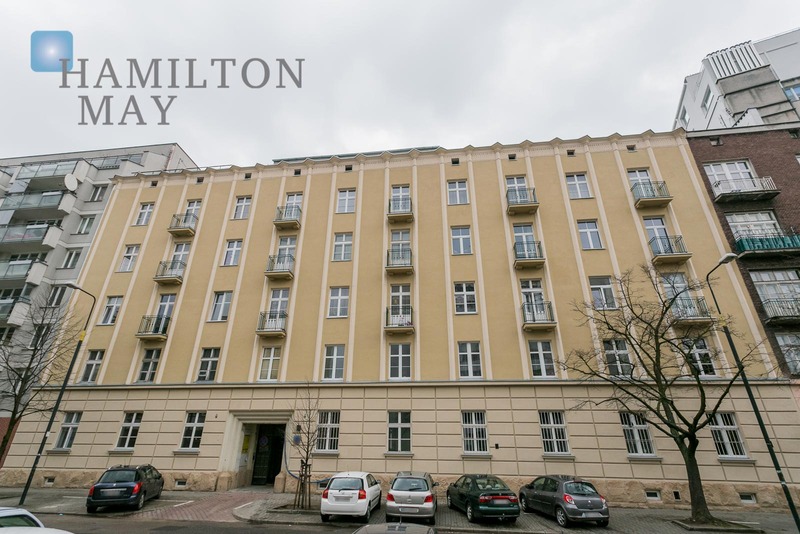 The city center is conveniently located at a short distance of 2km, and can be easily reached, while the proximity of the Vistula river, subway station, the Copernicus Science Center and various parks and green areas grants many opportunities for active relaxation.